We Are Well Established Austin Healey Restoration Specialists, Providing Restoration, Maintenance, Race Preparation & Sales Of All Austin Healey Classic Cars. Our Family Have Been Restoring Healeys For Over 30 Years, Accumulating Vast Knowledge & Experience On All Marques Of These Beautiful British Sports Cars. Read Our Story Below For Information On How We Gained The Reputation Of One Of The Leading Austin Healey Specialists In The UK. 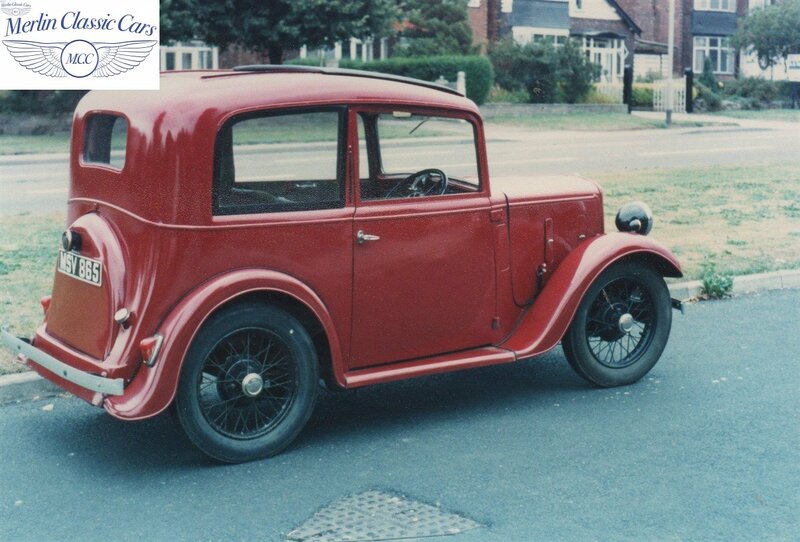 Alan bought and fully restored a 1936 Austin Seven Ruby saloon in 1981, and advertised it for sale when finished. Mark Prosser phoned Alan to view the Austin, he called liked and drove the car and bought it. He then enquired if Alan would be interested in restoring his Austin Healey MKIII 3000, that he had bought some months before, as he did not like the British racing green colour. They agreed Alan would undertake a full restoration of the Austin Healey over the next year, taking it to as near concours condition as he could. This was going to be a steep learning curve as Alan had not restored a Big Healey before. However, being a time served vehicle coach builder Alan was taught that nothing is impossible. The task began, the Healey was collected and the strip down started. The car was stripped, sandblasted, all rot was replaced with new steel, it was then primed & painted Colorado Red over Old English White. All the mechanicals were rebuilt, the car was rewired, copper brake pipes fitted, and the engine and gearbox restored and painted Healey Green. The car was then reassembled. The restoration was finally finished for the 1983 lakes weekend, where it won its class in the concours and went on to win a further two concours awards. 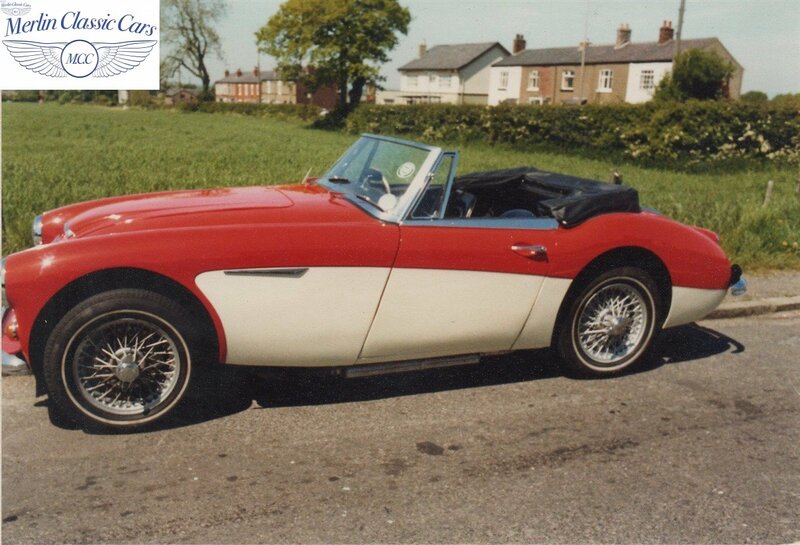 Merlin Classic Cars were the first company to manufacture new Austin Healey 3000 and 100/4 chassis in the early 80’s. Our restored cars fitted with our chassis have won numerous concours awards as well as British and international rallies. We built a MkII Tri-Carb FIA specification rally car for David Shakespeare who won concours awards both here in the UK and in Europe with his car. David and his brother John also won numerous UK and International rallies in his Big Healey, only being beaten very occasionally in Europe by Walter Rohl. We went on to build a second Austin Healey MkII FIA specification rally car for David, saving weight by hand making the rear bulkhead in 18’s gauge aluminium. This car was built to be driven in Europe to beat Walter Rohl. 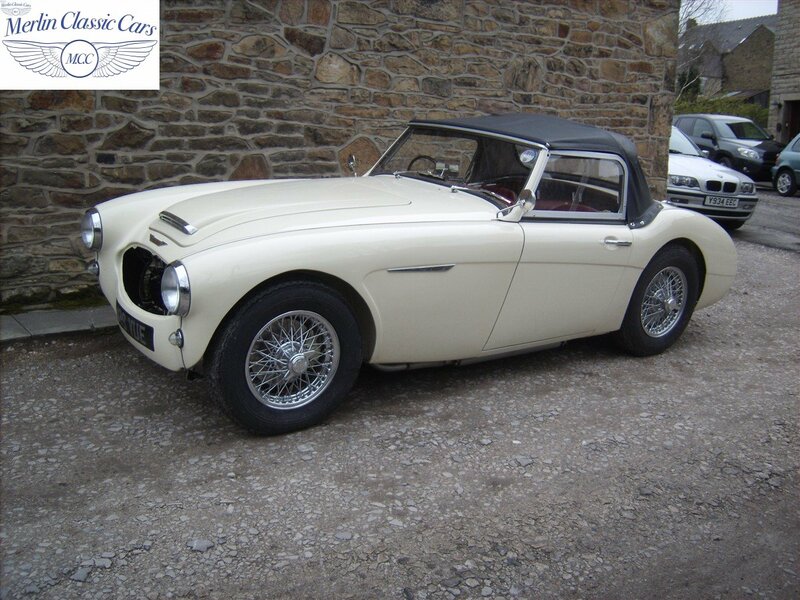 Alan’s own Austin Healey MkII Tri-Carb has one of our new chassis, which we manufactured in 2005. Photos of the chassis can be seen on the Austin Healey MkII Tri-Carb race car page, where you can also find the full writeup & further pictures of the project. When Alan bought his MkII Tri-Carb in the 90’s, the chassis was beyond restoring, the only salvageable items from the body/chassis unit being the front bulkhead, both front & rear shrouds and the dash. We hand made the doors and hardtop in 18’s gauge aluminium. The hardtop has a tubular steel space frame under the alloy skin to help with strength and to secure the hand wheeled & shaped alloy in place. The bonnet louvres have been cut out by hand and are hand planished into the bonnet. The engine has been balanced and blueprinted by ourselves, and is now fitted with triple 45 webers. The gearbox has straight cut gears and a race overdrive fitted. The car has a full roll cage, high backed GRP seats, 5 point seat belts and fire extinguishers fitted. The brakes have a bias bar fitted so the front and rear brakes are two separate systems for safety. 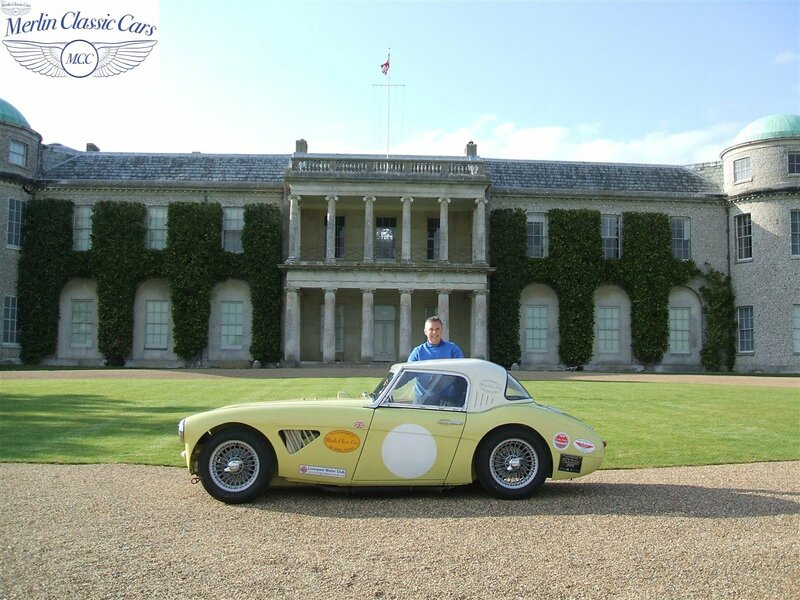 Alan achieved a 2nd place at the 2006 national concours in the specials class with the Healey. Alan has also won the Liverpool and Chester Sprint Championship for over 2 litre cars for 5 years and came 2nd in the Austin Healey Sprint Championship in 2006, only losing by a 2nd place podium finish. Here at Merlin Classic Cars we are still enthusiastic builders of all types of Austin Healeys for both road and race use, and wish all Healey enthusiasts Happy Healying! With our vast knowledge of all Healey models we can always help with your Healey project so please do not hesitate to contact us, as I am sure that you will find our experience and commitment second to none, we look forward to hearing from you. 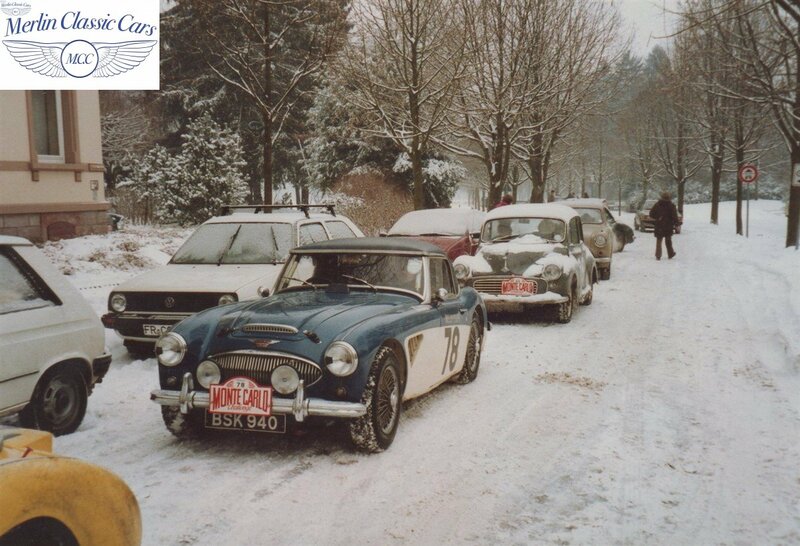 For More Pictures Of Healeys We Have Restored Please See Our Austin Healey Photo Album. You Can Find Other Examples Of Our Work On Our Gallery Page. For All Your Austin Healey Requirements Contact Merlin Classics.